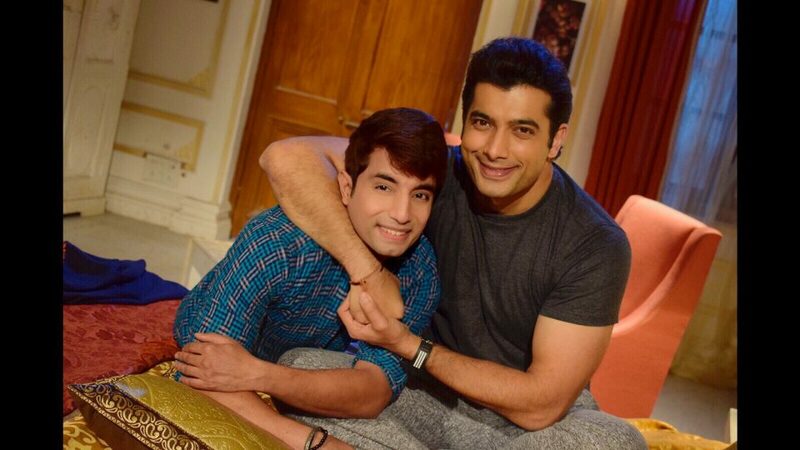 There is nothing better than to work with people who you admire and one such person for actor Tarun Khurana is Ssharad Malhotra. The two share the screen in the show Muskaan. Talking about their relationship, Tarun says, “Working with Ssharad Malhotra at the start was very difficult because he is a senior actor and I had to cope up and manage my skills with his stamina. But later on, he became a mentor to me. He helped me wherever I needed him, whenever I found anything difficult. He helps me always and even now if I ask him anything related to acting or anything else, he always gives good tips to me,” he says. In fact, he is almost like family to Tarun. “My bond with Ssharad Malhotra is not as good as Hanumant and Raunak’s, but he is like an elder brother to me. We mostly spend time on the set. We talk to each other about our lives and we discuss a lot of things,” he says. They share a fun vibe as well. “Ssharad bhaiya is very naughty. I remember an incident which happened yesterday itself. I was in between the shot and he was making different kind of noises to make me laugh! It’s fun to work with him,” he says. Meanwhile, Tarun loves playing the role of Hanumant. “I am very happy performing Hanumant on screen, people are loving it and I love being on set whether I have a shot or not. I love going on set and observing things because I want to grow as an actor. I want to be perfect,” he says. Tujhse Hai Raabta’s Upcoming twists and turns, Anupriya secretly meets Keshav..